well, here we are on day two of vegan mofo (vegan month of food)! i’m lacking a kitchen at the moment but in the meantime i’ve been able to sample some prepared meals at whole foods. 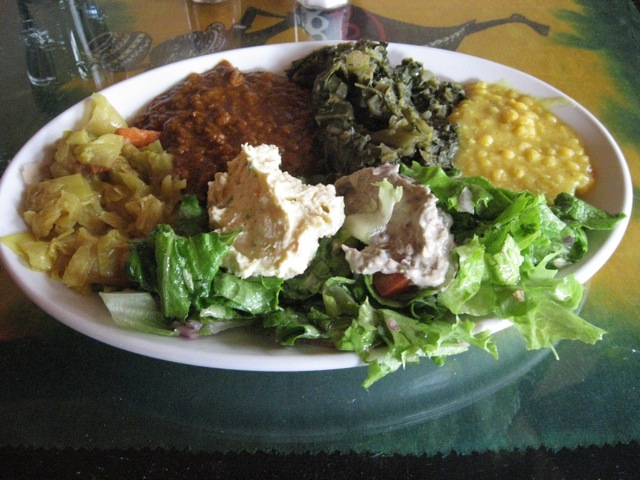 most things haven’t excited me, however i found some ethiopian food from the los angeles restaurant, Rahel Ethiopian Veggie Cusine. everything is vegan and i’m really quite fond of the miser- red lentils with injera. it’s around $6.50, which seems a bit pricey, but i ate one half for lunch and i’ll save the other half for tomorrow. i cooked up some spicy savoy cabbage on the electric skillet and it went perfectly with the lentils. i’ll post the recipe for the cabbage later. there will also be a review of Rahel’s restaurant soon to come. hold on to your pants! 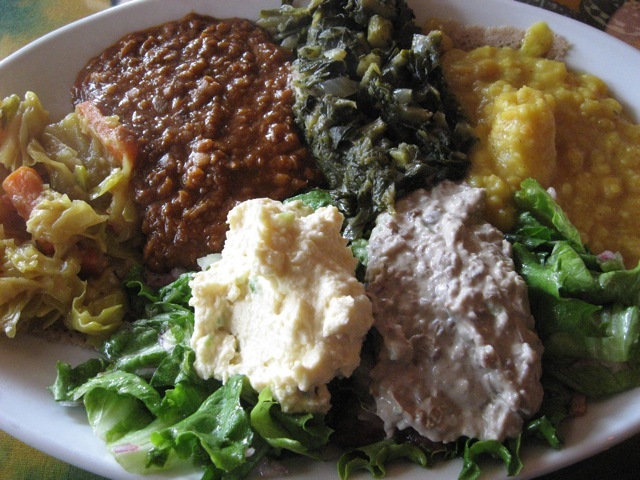 you are so lucky to have so many fine ethiopian establishments to choose from. 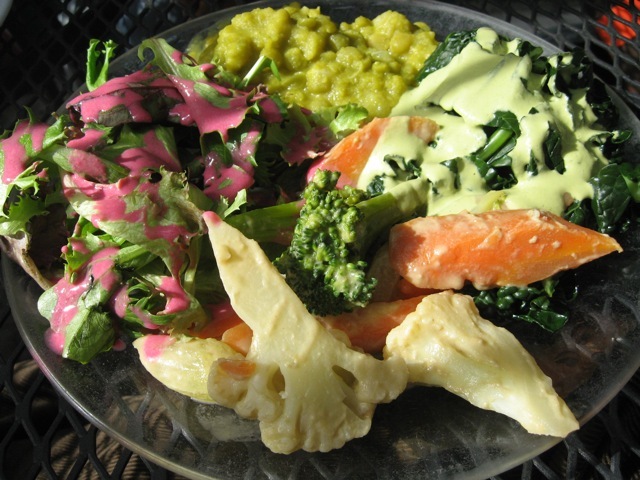 we visited ethiopia restaurant in berkeley and were happily delighted. i ordered the nene’wee, which consists of five vegetarian items to choose from a possible twelve, and all for $10.95 ($9.95 for lunch). 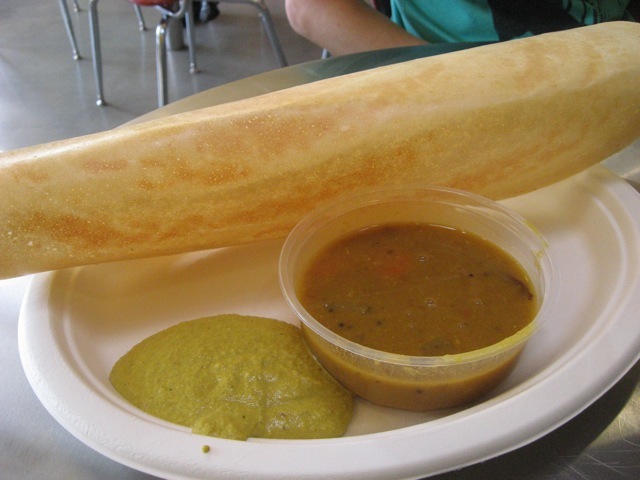 the injera (spongy crepe-like sourdough bread) is made with 100% teff! i loved the engudai we’t (mushroom stew) and yemisir we’t (red lentil). it was all so good and fresh!